We understand that a defective or leaking shower is upsetting to you and your family and that when you call for assistant it’s urgent! At Rooter Master, we’ll respond to your call immediately and arrive no later than 60 minutes from the appointment set time or your money back, guaranteed. We’ll Match Our Competitor’s Prices, EVERY TIME. No matter what your emergency is, we can fix it. From leaky faucets and shower heads to clogged drains. We also supply a wide variety of new parts and can install them quickly and efficiently. Our prices are unbeatable! At Rooter Master, every home owner’s needs are individual and important to us. Our focus of providing quality plumbing service and products combined with honesty has made our plumbers the #1 choice of residents in LA. When our employees visit your home, rest assured they’ve passed criminal background and drug tests, and are equipped to provide you with the service you need. Call today for a free estimate! Are you disappointed with your current shower head? Is the pressure too low? 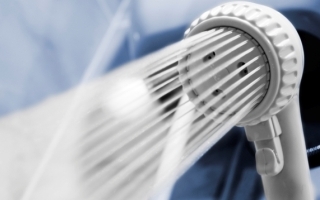 With a high pressure shower head, you can once again enjoy a sturdy and full set of streams while in the shower. We can offer all types and brands at whole contractor rates. Lifetime warranties, criminal background and drug tests for all our employees, price match guarantees and the list goes on. These are just a few of the key reasons why we’re the #1 choice for home and business owners when it comes to solving plumbing problems throughout LA County. At Rooter Masters, you’re our #1 priority! Click here for more reasons why they call us the Rooter Masters!